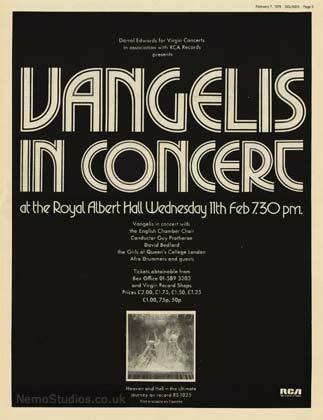 Around this time, Vangelis received new-found recognition on the music scene. So, in 1975, he decided to move to London. It was there he established Nemo Studios, a large laboratory and sound-recording facility. The laboratory fulfilled a long-standing ambition, it provided Vangelis with an environment where he could develop and experiment with his musical ideas. At last he was able to compose music without restrictions or boundaries. The first studio album to emerge from Nemo Studios was entitled ‘Heaven and Hell’, which was released in November 1975. The album featured a choral symphony composed entirely on keyboards. It also included percussion, and all instruments were played by Vangelis. The album also featured the revered English Chamber Choir. The music was premiered at The Royal Albert Hall, and received great critical acclaim. 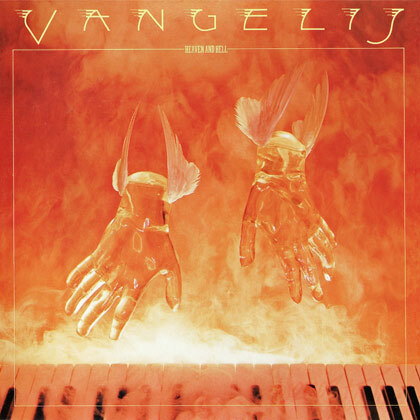 Like most of Vangelis’ music, it has stood the test of time, and is still remembered with enthusiasm today. 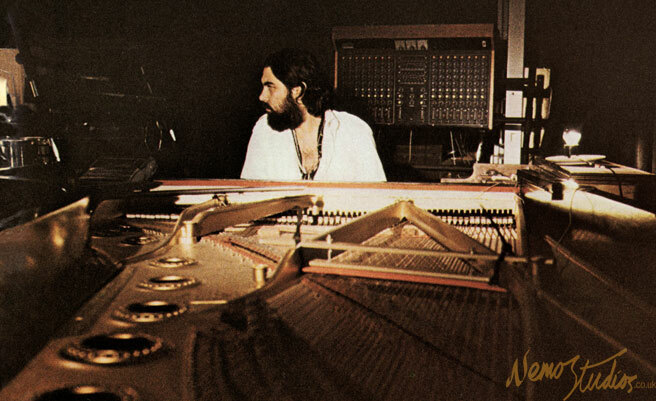 The release of ‘Heaven and Hell’ ensured Vangelis a place on the international music scene, winning him many awards. 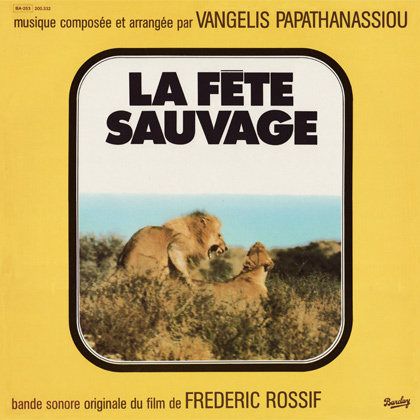 In that same year, Vangelis also released the music from Frédéric Rossif’s La Fête Sauvage, a wildlife documentary film made for cinema, featuring one of the earliest known forms of ‘world music’, combining African rhythms with modern, Western music. The follow-up to ‘Heaven and Hell’ was ‘Albedo 0.39’, which was released in September 1976. This was a thematic album relating to the universe, its origins and the birth and death of stars. It was a journey into mankind’s exploration into outer space. In December 1977, the follow-up album ‘Spiral’ was released. It was inspired by ancient Tao philosophy, exploring the nature of the universe moving in spirals. The album oozes with a myriad of spectacular sounds. 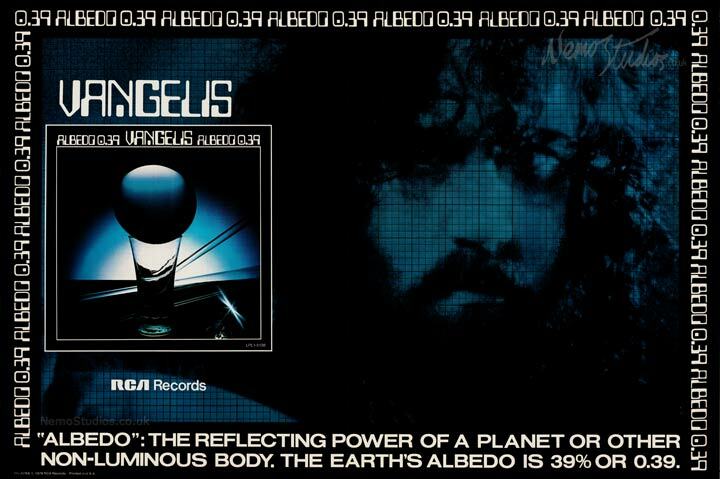 It featured the unforgettable marching track ‘To the Unknown Man’, for which Vangelis was awarded the Midem International Instrumental of the year 1978.